The University of the Fraser Valley men’s and women’s golf teams are proud to partner with Golf Canada to host the 16th annual Canadian University/College Championship, May 29-June 1 at Chilliwack Golf Club. The event is Canada’s most prestigious post-secondary golf championship, as it brings together the top teams from a variety of university and collegiate leagues from coast to coast. Next week’s event marks the Cascades’ first time hosting, and they will be among 20 men’s teams and 12 women’s teams battling for the right to call themselves national champions. 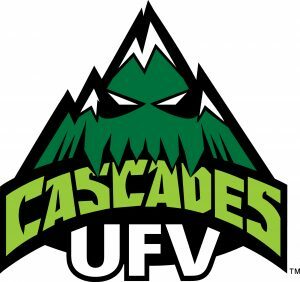 In addition to enjoying home course advantage, the Cascades have plenty of momentum coming off arguably their most successful fall season ever. They swept the PACWEST conference’s team titles, while claiming five of the six PACWEST individual medals, six of the eight conference all-stars, and all four of the conference’s All-Canadian nods (Daniel Campbell, Ben Whiton, Emery Bardock and Hannah Dirksen). They repeated the feat at the Canadian Collegiate Athletic Association (CCAA) national championships, winning the men’s and women’s team titles in decisive fashion while putting a pair of golfers on the CCAA individual podium: Campbell (men’s gold) and Maddie Kapchinsky (women’s silver). The Canadian University/College Championship was established in 2003 with the intention of giving the finest Canadian university and college golfers the opportunity to compete for a national championship. The men’s and women’s individual winners receive an exemption into their respective Canadian Amateur Championships.